Members' exclusive: win one of 174 pairs of best-seats-in-the-house tickets on offer for this feelgood West End show - plus a chance for 20 lucky winners to meet the stars of the show, such as Bonnie Langford or Brian Conley. Starring Louise Redknapp, Amber Davies, Natalie McQueen, Bonnie Langford and Brian Conley, the smash-hit musical features an Oscar, Grammy and Tony award-nominated score by the Queen of Country herself, Dolly Parton. Plus we have a surprise in store for 20 lucky ticket winners picked at random on the day, who'll get to meet and greet members of this fabulous cast. 9 to 5 The Musical is based on the 1980 movie of the same name, and tells the story of Doralee, Violet and Judy - three workmates pushed to boiling point by their sexist and egotistical boss. Concocting a plan to kidnap and turn the tables on their despicable supervisor, will the girls manage to reform their office? Or will events unravel when the chief executive pays an unexpected visit? Inspired by the cult film and brought to you by Dolly herself, this hilarious new West End production is about teaming up, standing up and - in the words of the song - taking care of business! Dolly has written a brand new, never-heard-before, song for the new West End production. The iconic movie is ranked number 74 on the AFI's list of the 100 Funniest American Movies of All Time. In the final version of the song, you can hear Dolly's acrylic fingernails as part of the percussion section. We have 174 pairs of tickets for the Dress Circle which you can win for you and a guest for 9 To 5 The Musical at London's Savoy Theatre on 1 July 2019. The show starts at 7.30pm and finishes at approximately 10pm. A pair of tickets to the show. Each member and guest will receive a free drink, which can be redeemed in any of the theatre's three bars. Each member and guest will receive a free show programme. Plus...a meet and greet with member of the cast (cast members to be confirmed) for 20 lucky winners selected at random. Members who win tickets for the show will be seated in the best seats in the Dress Circle. Please note there are 32 steps down to the Dress Circle. However, the Dress Circle has a street level exit, so any winners seated there will not need to climb back up. There is no lift for wheelchair access, but wheelchair users can enter via street level into the Dress Circle, and staff will be on hand to assist. Savoy Theatre, Savoy Court, Strand, London WC2R 0ET. Winners will be notified within 48 hours of the ballot closing, please double check your spam/junk mailboxes as we wouldn't want you to miss out! 5. The opening date for entries is 9am on Friday 15 February. The closing date of the ballot is 9am on Friday 17 May. Entries received after this time will not be counted. 7. A winner will be chosen by random draw supervised by an independent person on Monday 20 May. ("Draw Date"). 8. 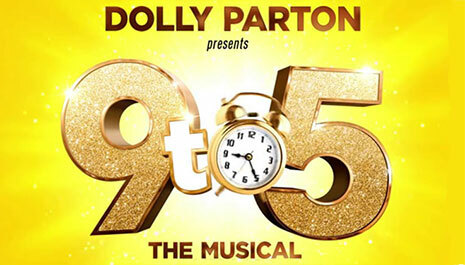 The winner will receive a pair of tickets to the theatre performance of 9 to 5 at the Savoy Theatre on Monday 1 July 2019. The winner and guest will be seated within the dress circle and will receive a voucher for a free drink (either a glass of prosecco or soft drink), plus a show programme. Any travel to and from this event and any other expenses incurred are the responsibility of the winner and NOT included in the prize. 9. The winner will be notified by email or telephone (using details provided when activating their membership) before midnight Tuesday 21 May. If a winner does not respond to the Promoter within 5 days of being notified by the Promoter, then the winner's prize will be forfeited and the Promoter will be entitled to select another winner in accordance with the process described above.